We host events that give our local community members the skills they need to protect themselves and their loved ones. 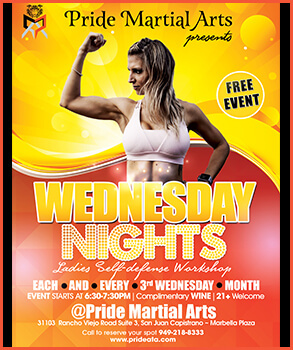 Stay tuned for the latest updates on special events being hosted at Pride Martial Arts! 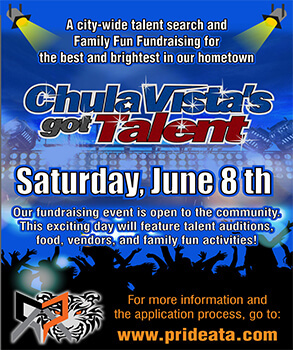 Come be a part of Chula Vista’s First Citywide Talent Search Competition! 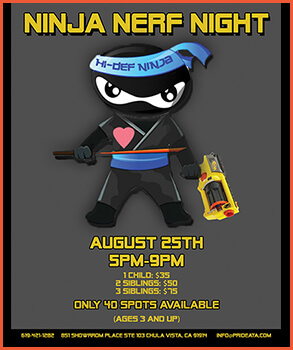 We will be putting on an amazing family fun fundraiser for our community. Our Talent Competition will showcase exciting auditions from our neighboring family members. In addition, there will be activities for the whole family including a silent auction, food, vendors and fun crafts for the kids! 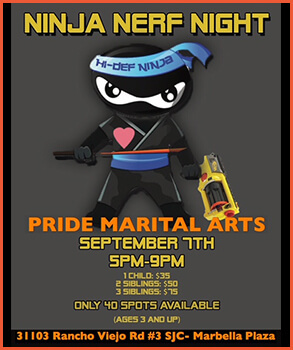 Join us for Pride Martial Arts tournament fundraiser! Make friends and enjoy a complimentary glass of wine! 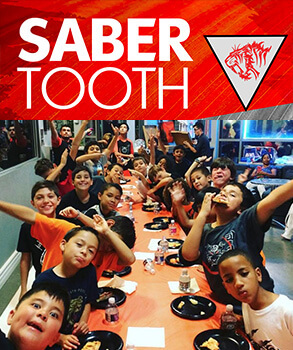 Sabertooth Club is Pride's Big Brother & Little Brother Mentoring Program. 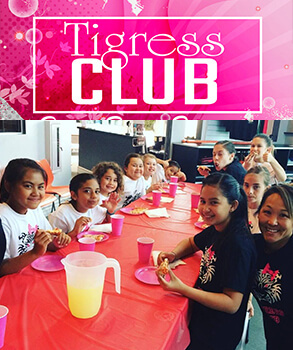 The Tigress Club - the sisterhood sorority for the girls at Pride Martial Arts, led by the black belt girls at Pride Martial Arts. I wanted this club to help girls form real solid friendships with other martial artists that share the same values. Everyone is welcome and everyone is unique and special! Our girls are all beautiful, strong and powerful, and have the determination to conquer the world! 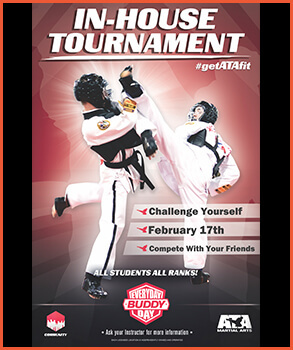 Challenge yourself and compete with your friends!